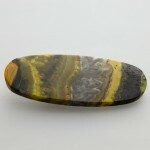 Bumblebee Jasper, sometimes called Bumblebee Agate, is formed from sulfuric emissions from active volcano vents, most notably in Indonesia. 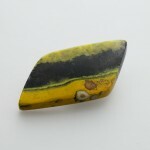 Sediment, ash, and, in this case, sulfur, coalesce into stone, with patterns forming following flow and other organic deposits. 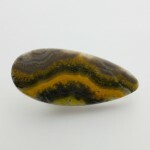 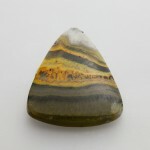 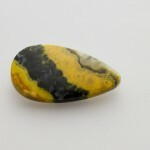 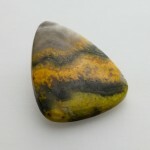 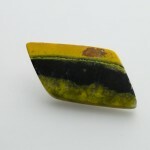 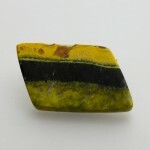 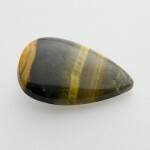 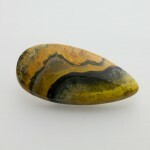 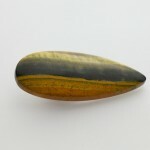 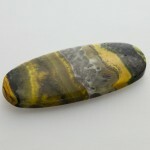 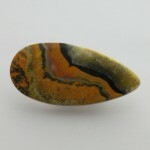 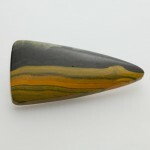 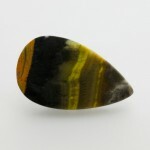 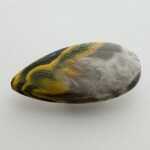 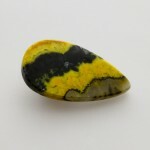 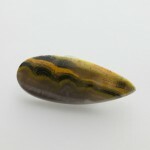 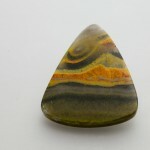 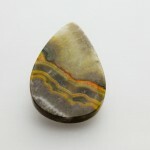 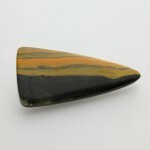 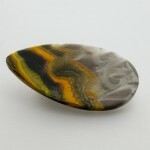 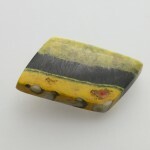 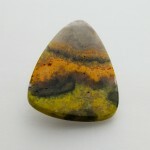 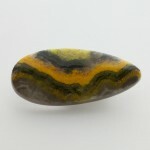 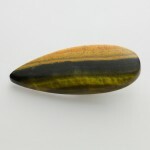 The addition of sulfur, especially, is what creates Bumblebee Jasper’s iconic and vibrant yellow/orange coloration. 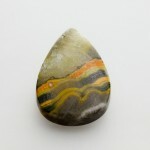 Our Jasper is polished and ready for setting, whether in wire wrapping, bezel setting, or simple drill-and-hang pendants.